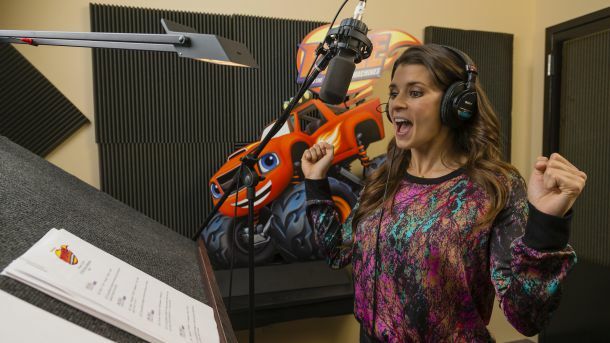 Race car drivers Danica Patrick, Jimmie Johnson, Kasey Kahne and Chase Elliot are returning as guest voices in Nickelodeon's BLAZE AND THE MONSTER MACHINES "The Hundred Mile Race" episode that premieres on Friday, November 4, 2016 at 11:30 am (ET/PT). 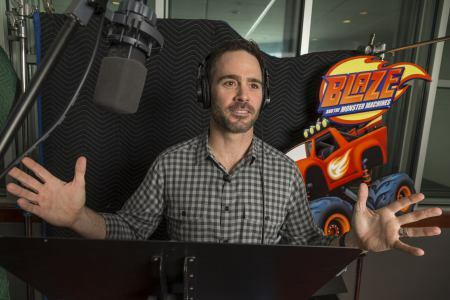 The popular NASCAR drivers have previously appeared to voice characters in episodes titled “Race Car Superstar” and “Race to Eagle Rock” that had originally aired in May and June and show creators have promised to have these popular racing figures have a reoccurring role in this animated series that follows the adventures of an amazing monster truck named Blaze and his eight-year old driver AJ. 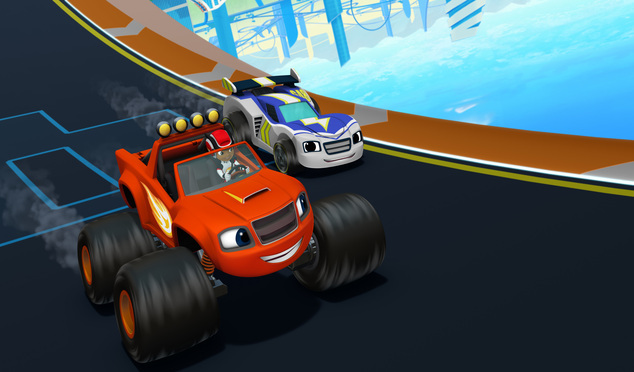 In "The Hundred Mile Race," Blaze is joined by his friends Rally (Patrick), Dash (Johnson) and Fender (Kahne) to compete in VelocityVille's longest race ever. Mark Set Go (Elliot) appears as the city's sensational starter who kicks off the race with his rock-star style and signature rhyme. The racers cross deserts and swamps on their way to the finish line while avoiding obstacles created by Blaze's rival Crusher.